With U.S. aid to Egypt being cut in the wake of the military crackdown on the Muslim Brotherhood, word on the street in Egypt, along with tweets and Facebook posts, seems to indicate anti-U.S. sentiments are at an all-time high. Washington has lost friends on both sides of the Egyptian political battle, including both supporters and critics of ousted Egyptian President Mohammad Morsi. 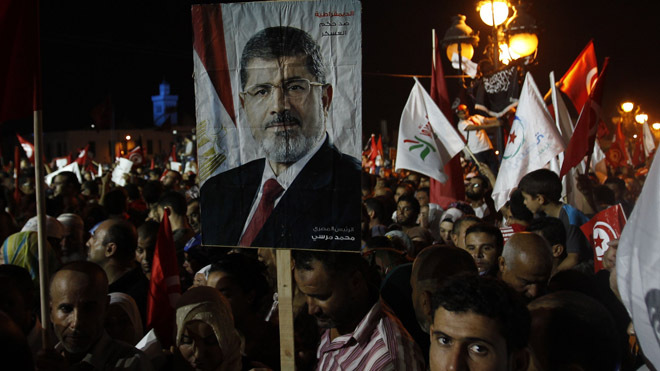 The anger against the U.S. is based on Egypt’s June 30 uprising that led to the July 3 ouster of Morsi. Supporters of Morsi said Obama turned his back on him while secular Egyptians say Obama sided with ‘terrorists’ instead of aligning with freedom fighters in eradicating extremism from their country. “We see Obama as a man supporting terrorism here in Egypt by funding and helping Muslim Brotherhood terrorists,” Gina Adel said in an interview with Fox News from Cairo. Twitter was filled with strong messages to Washington: “Only idiots around the world with no knowledge of political science call what happened in #Egypt a ‘Coup,’” @HanyGhoraba tweeted from Egypt. The Obama administration has refrained from deciding whether a coup took place. This week, during a hearing of the House Committee on Foreign Relations, the White House announced that dealings with Egypt cannot continue status quo and therefore introduced a “recalibrated” aid package. After a one-month review, Washington reported that it would halt the delivery of American-made tanks, fighter jets, attack helicopters and offensive missiles in reaction to the Egyptian army’s deadly crackdowns against protestors. The U.S. also suspended $260 million in cash assistance to the interim government, which has been in power since Morsi’s overthrow. Many, like Adel, say Russia will make up the loss in U.S. aid, and they prefer it that way. “Other major countries are going to help us get back on track,” Ahmed, who has been active on social media about political happenings inside Egypt, said in a Facebook message to Fox News. Reports already indicate that the two countries are strengthening ties and have already talked about Egypt purchasing planes and other military equipment. Saudi Arabia has also volunteered to pick up the slack. Violent clashes between Muslim Brotherhood members and military forces have been ongoing, although escalations have been fewer since June and July. Morsi’s supporters this week called for daily demonstrations before his Nov. 4 trial, worrying authorities there could be more bloody violence. The ousted president will stand trial along with 14 other senior Muslim Brotherhood officials. The interim government fears the trial could further inflame tensions between the two groups. This week Muslim Brotherhood leader Essam El-Erian was arrested in a continued effort to clean up extremist influences in the country. Egyptian police fired teargas at students protesting his arrest at Cairo’s al-Azhar University. The Muslim Brotherhood demands Morsi be put back in power and accuses the army of executing a political coup in removing an elected leader. After the Brotherhood rejected the interim government ‘s invitation to have representation in a parliamentary government, an Egyptian court in September banned the group, seizing monetary funds they have previously utilized to incite violence and terrorism against Egyptian civilians. Since the ouster, Morsi has been kept in detention at an undisclosed location. “The Egyptian people are optimistic about the future, but they know it would take really long for the country to be a good country again,” Sam, a member of Egypt’s Coptic Christian Community that has been a target of violence and persecution by extremist groups, said to Fox News. Lisa Daftari is an Iranian journalist and Fox News contributor.